Florence became the city of art that all the world knows thanks to the great artists who built big monuments, churches, and sculptures during the years. Nearly all the famous artists of the Renaissance came from Tuscany and Florence became the centre of the Arts, artists like Donatello, Michelangelo, Brunelleschi, Giotto, Galileo, Dante, Botticelli and Masaccio are only a few of those who have left signs in the monuments or Florentine works of the xv century. One very important figure in the sciences was Galileo Galilei, who established modern experimental science. There has been a university in Florence since the Middle Ages, and today it has dozens of specialist institutes. Attracted by its culture, foreign students come here from around the world, many to study Italian or the history of art. This is all part of Florence’s legacy, which is also reflected in the many museums of scientific interest, such as the Museum of the History of Science and the various sections of the university’s Natural History Museum. Vast collections of books and manuscripts are housed in the Central National Library and in other historic libraries such as the Mediceo-Laurenziana, the Riccardiana and the Marucelliana. The state and council archives also contain invaluable collections of documents. Italian art are very famous in the world, expecially the intellectual and/or religious works. Florence is usually called 'the capital of arts' in according with the UNESCO statistics the amount 60% of the world's most important works of art are in Italy and about the 30% in Florence. Starting from the 13th century to the 16th century Florence was the center of creative Italian artists like Dante Alighieri, Boccaccio and Michelangelo Buonarroti. During this period (the period of the Renaissance in all Italy) Florence acquired its renaissance buildings like palaces, squares, churches and museum. Most of the squares, churches and palaces in Florence have statues (like the David of Michelangelo) and fountains in Renaissance style. Florence has also many galleries and museums with hight importance paint works. 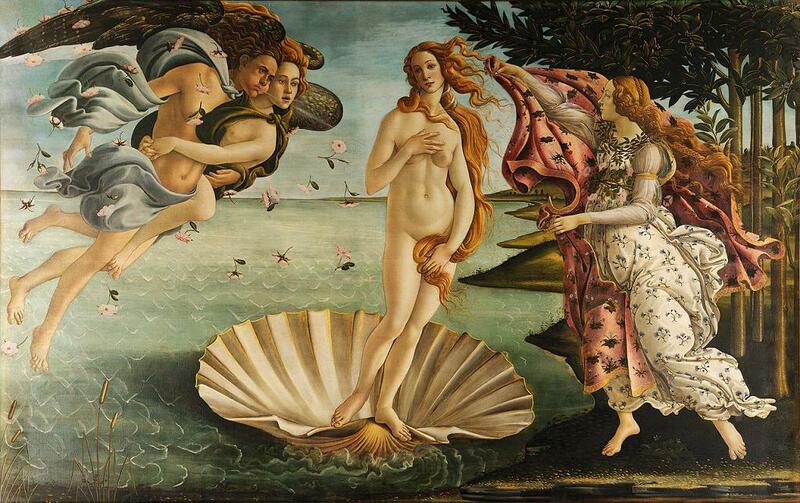 The Uffizi, for example, is houses of works by Botticelli, Leonardo da Vinci, Michelangelo, Titian and Rubens. Florence is also an active cultural center and organizes exhibitions and art festivals.